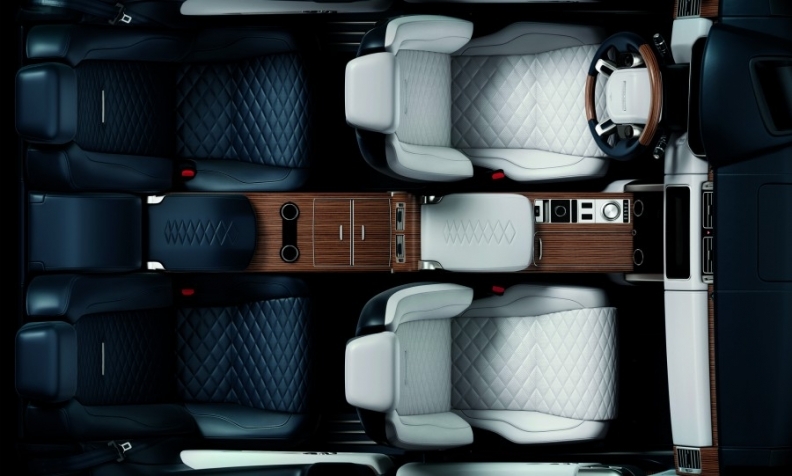 Land Rover teased the Range Rover Coupe SV with a picture that shows its four-seat layout with a sumptuous leather interior and a center console separating the rear passengers. LONDON -- Land Rover's Range Rover subbrand will get a new flagship to boost its upscale ambitions. The Range Rover Coupe SV will be Land Rover's most expensive model to date when it goes on sale later this year. The three-door model will debut at the Geneva auto show on March 6. The SUV is based on the Range Rover, rather than the Range Rover Sport. It will cost more than Land Rover's current most expensive model, Range Rover SVAutobiography supercharged V8, which starts at the 177,000 pounds ($249,000). It is expected to use the same 5.0-liter V-8 engine. "It will be the most expensive Range Rover ever," a company spokesman confirmed, without giving a price. The Range Rover Coupe SV will be limited to 999 examples and will be modified by Jaguar Land Rover’s Special Operations facility in Warwickshire, England. The three-door layout is a homage to Land Rover's original Range Rover, which debuted in 1970 as a three-door. The original Range Rover helped to create the market for luxurious, well equipped off-roaders. Land Rover currently offers a three-door version of the Range Rover Evoque compact SUV, while most other manufacturers of SUVs have dropped three-door models. The BMW X6 and Mercedes GLE Coupe have five doors. In a statement, Land Rover’s head of design, Gerry McGovern, said the Range Rover would have "peerless refinement and breathtaking exterior proportions."